Is Doctor Strange worth the wait? In 2008 Iron Man began what is now known as the Marvel Cinematic Universe. Eight years later and 13 movies in Marvel is finally presenting us the Sorcerer Supreme, Doctor Strange. Let’s simply say it’s definitely worth the wait. Benedict Cumberbatch play’s Dr. Stephen Strange a neurosurgeon. Who looses the function of his hands in a horrific car accident. Strange uses all his money and knowledge in a pursuit of attempting to find a way to heal himself. After many trails and tribulations he fails to do so. Until he finds out about a place in Nepal that can help him. Also in the process he discovers his true destiny as the Sorcerer Supreme. 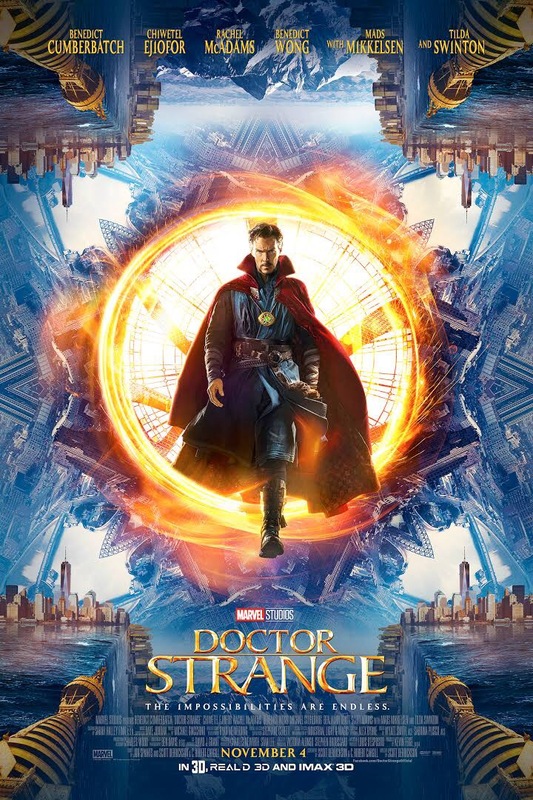 First thing first, the movie is great and let me just say Benedict is Doctor Strange. Just how Robert Downey is Tony Stark aka Iron Man. The same could be said today. As for the rest of the cast they do a smashing job. From Tilda Swinton’s opening fight to Chiwetel Ejiofor saving Strange. Everyone is granted a moment to shine. My one complaint, I felt that Rachel McAdams should have had a larger role in the film. Hopefully we will see more of her in the sequel. The story does a neat job of introducing us to this new part of the Marvel universe. Magic. I was always skeptical on how good it will be on screen. They really hit it out of the park. Some of the action scenes are tremendous. The movie is like nothing you have seen before. Granted it does use ideas from the Matrix and Inception but it places its own spin on it and it’s amazing. What we catch on the trailers is only a taste of what’s in the film. I’m not going to squander my time and talk about the scenes. But do yourself a favor and watch on the big screen. Specifically on IMAX 3D. One more thing to add, the films pacing is really good. There are some slow times but they aren’t boring. It makes us feel like we are discovering about this new world of magic, just like Doctor Strange. Surprisingly the film has some funny moments and it works well. None of those scenes seemed forced. It just ran well with the story. I definitely recommend Doctor Strange it has something for everyone. ← The Black Monday Murders-a must-read!